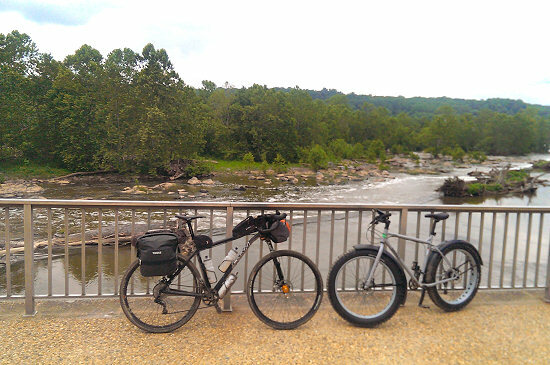 Lizard Head Cycling Guides Great Allegheny Passage/C&O Canal Gravel Tour rides along two of the best back-to-back gravel trails in the United States. 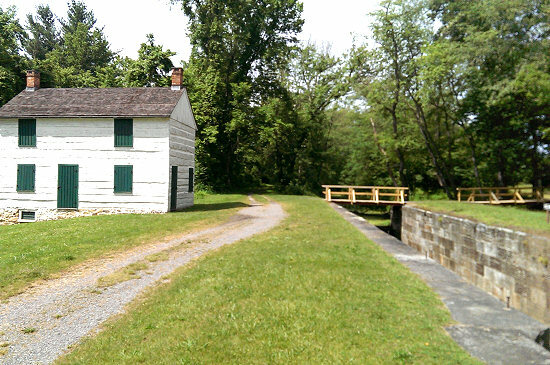 Both of these magnificent trails are steeped in history with the Chesapeake and Ohio Canal (C&O Canal) trail offering a more “back in time” experience. Operated from 1831 until 1924 along the Potomac River from Washington, D.C. to Cumberland, Maryland, the 185 mile long C&O Canal’s principle cargo was to bring coal from the Allegheny Mountains down to the growing metropolises of Washington, Baltimore and other cities along the eastern coast. 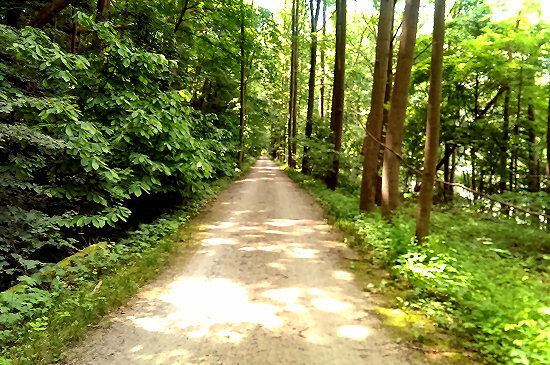 Today the old tow path has been converted to a multi-use trail perfect for an off road gravel tour. 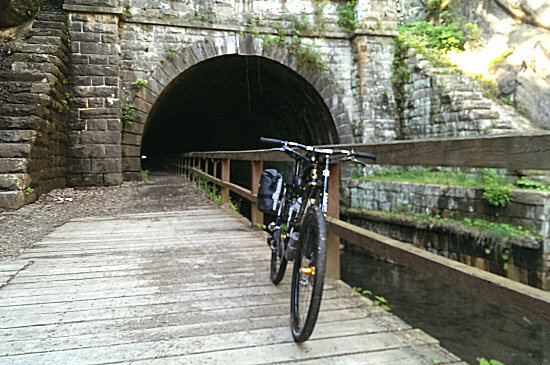 The Great Allegheny Passage (GAP) is a more recent addition to the growing number of US rails-to-trails and it offers a world-class 150 mile gravel trail second to none in terms of quality and experience. 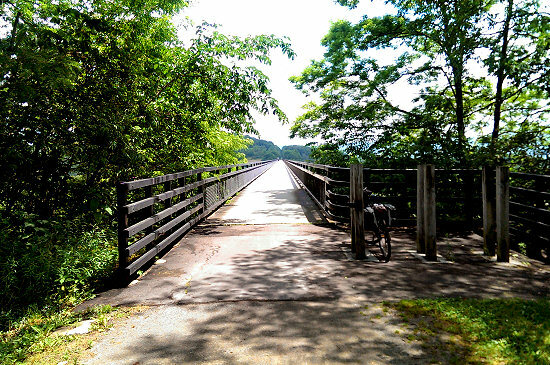 The first sections of the GAP were opened in 1986 and the final section of the GAP was completed in 2013 making possible a 335 mile off-road car-free route between Pittsburgh, PA and Washington, D.C. 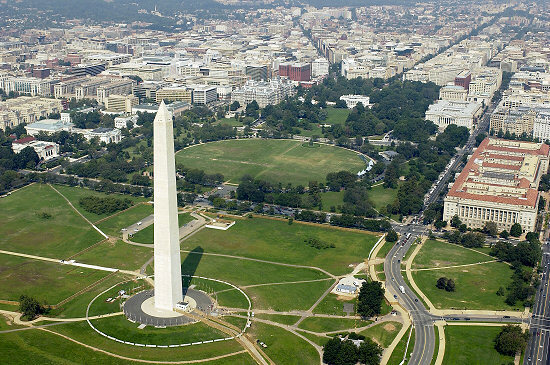 Optional Shuttle Return: +$200 per person. 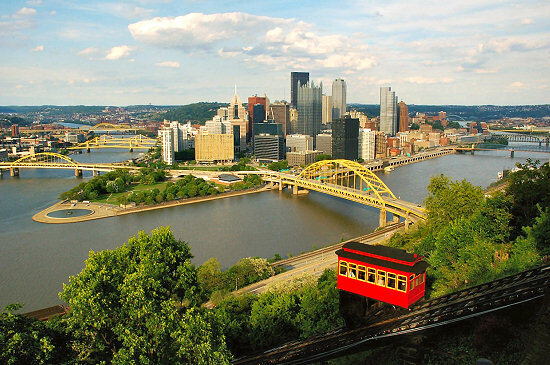 At the end of the last day of the tour an optional shuttle is available for you, your bike and your gear to get back to the meeting hotel (reservations on-your-own) in Pittsburgh for a late evening arrival (10-11:00 p.m. or later). 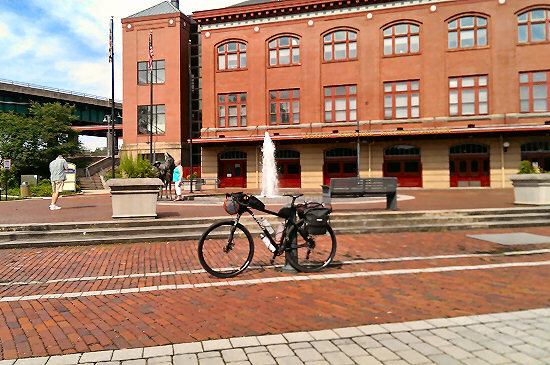 We will stop along the route for dinner at Dogfish Head Alehouse near Gaithersburg, MD (included). If you do not choose this option, you are on-your-own to make your return travel arrangements. 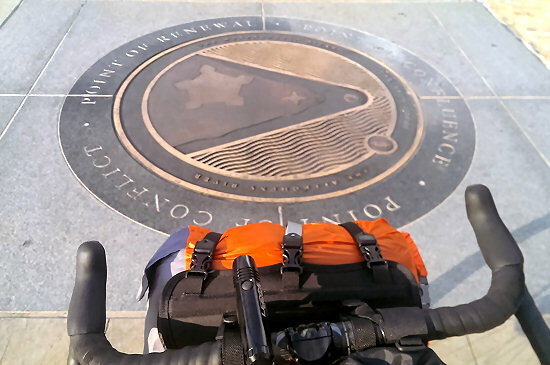 Tour Includes: 4-nights of lodging, daily luggage transfers, hotel breakfasts (if available), 5 packed lunches (packed before ride start except for Day 1), 2 dinners (2nd night & 4th night), and permit fees. Alcoholic beverages not included. Bike Suggestions: Road bikes are NOT recommended. 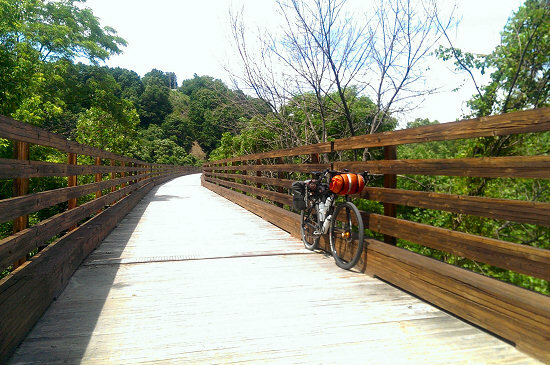 This tour is best enjoyed on a cross bike with 32-38mm gravel ready tires or on a 26″/27.5″/29″ mountain/gravel bike with 1.75-2.00″ moderate knobby tires as large/wide knobby tires will actually make the journey more challenging. A gravel/adventure/bikepacking bike or a 27.5″ or 29″ plus bike would also be ideal. 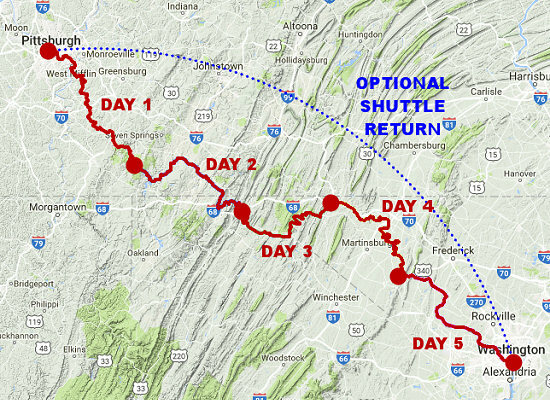 Also be prepared for potential wet/muddy conditions along the C&O Canal. Please call 970.728.5891 or email us if you have any questions on the recommended bike and equipment to bring on this tour. Mandatory Equipment: Due to several long dark tunnels en route, powerful front lights are required on this tour. Taillights are optional, but highly recommended. In order to carry pre-packed lunches, a frame bag, a large rear bag, a handlebar bag, or a Camelbak-like pack is recommended. Continuing southeast along the GAP we slowly shed the urban setting and paved sections of the trail to hit the gravel and enjoy the ever increasing remoteness. On this first day our support team will meet up with the riders at a designated point for lunch (Note: on subsequent days lunches are packed prior to morning departures). After making our way past Connellsville, Pennsylvania, we encounter the stunning beauty of ancient growth trees and immense ravines as we enter Ohiopyle State Park. 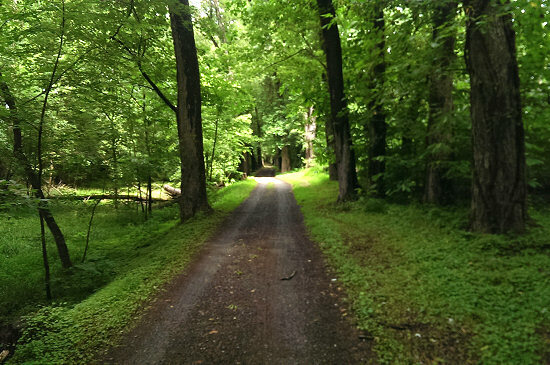 The ride ends in the small town of Ohiopyle with a check into our accommodations. Guests are on their own this evening for dinner at one of the many establishments in Ohiopyle. 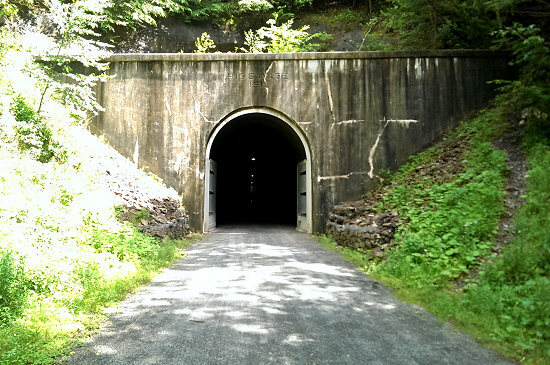 Midway through the day we encounter the Paw Paw Tunnel, 3,200′ of utter darkness with a narrow trail along with the canal – a headlight is mandatory for safe passage through the tunnel. 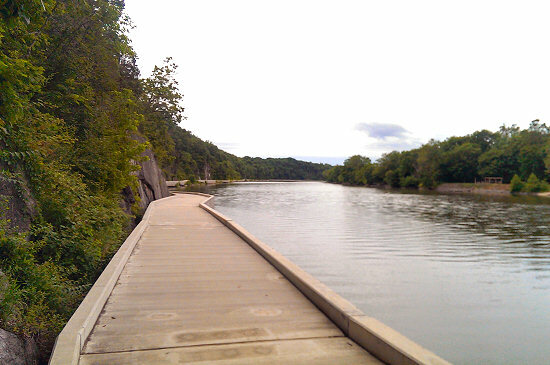 After the Paw Paw Tunnel we continue our meandering ride along the C&O Canal eventually reaching our goal of Hancock, Maryland. Guests are on their own for dinner this evening in Hancock, but we highly recommend Buddylou’s Eats Drinks & Antiques! 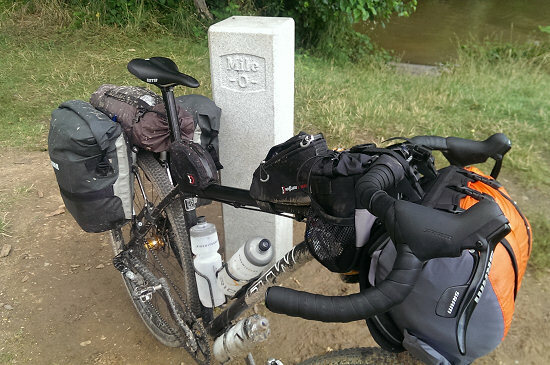 Day 5: Harpers Ferry, WV to Washington, D.C.